Seymour, Indiana, in the 1990s was a Midwestern town with rural roots and a comfortable, small-town feel. Parents felt safe letting their children walk to Girl Scout meetings with friends and ride their bikes unchaperoned. All that changed on January 20, 1999, when a 10-year-old girl waiting for her father after gymnastics practice was abducted and molested. The man who approached her outside a local girl’s club said he had locked the keys in his car and needed someone with slender arms to reach them. The attack shocked the community, all the more when the suspect fled before he could be apprehended. At the time, no one realized it would take nearly two decades to bring justice to the victim and her family, and a sense of closure to the community—or that an Indiana State Trooper who was born and raised in Seymour and is now an FBI agent would play a central role in resolving the case. On that cold January day, Charley Hollin forced the girl into his car at knifepoint, drove away, and sexually assaulted her. Afterward, he made the girl leave the car naked, and her clothes were thrown out after her. Hollin also mistakenly threw out his own jacket, which contained his day planner. The assault itself was tragic, but then justice was not served. Hollin’s identity was known to authorities—and reported by the media—because they had his day planner. But the victim could not positively identify her assailant with full certainty, so authorities were forced to wait for the results of DNA testing before they could arrest Hollin and charge him with the crime. Hollin took that opportunity to flee. In fact, Hollin was long gone. Eleven years before the assault, he had stolen the identity of a deceased 8-year-old boy who was the victim of a drunk-driving crash. Hollin secured a Social Security card using the boy’s name, Andrew David Hall. He used that new identity to obtain driver’s licenses in Indiana and Minnesota, and later a passport. Hollin lived in Minnesota for several years, where he married, and then relocated to Oregon. He had apparently bragged about his ability to become someone else and disappear. In 2001, Prewitt fulfilled a lifelong dream of becoming an FBI agent and was assigned to the Pittsburgh Division. 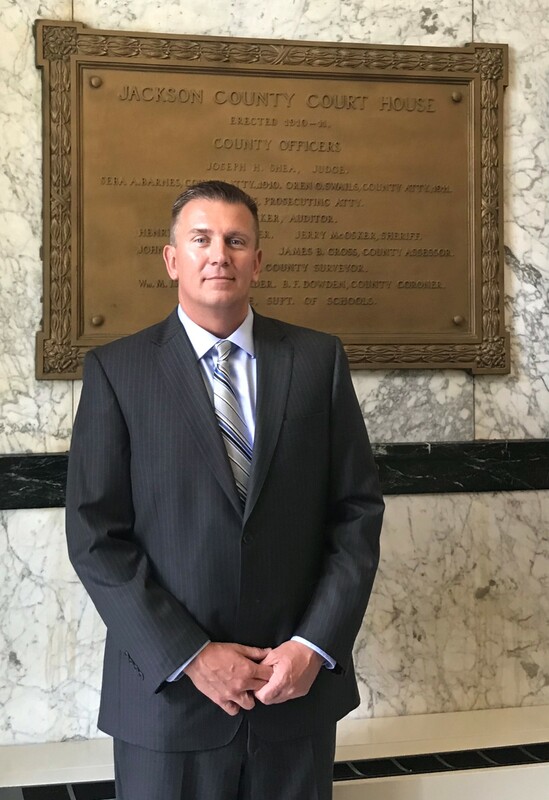 In 2009, after Hollin had been on the run for nearly a decade, Prewitt transferred to the Indianapolis Division and began working out of the Bloomington Resident Agency. One of the first things he did was take a fresh look at the Charley Hollin case and contact the victim’s parents. Prewitt began looking at the case file. It contained a good digital image of Hollin taken before he fled. The image had been obtained by a diligent agent, since retired, who had also worked on the investigation. Using that image with facial recognition software, Prewitt began searching digital databases and eventually came up with a potential match to a passport photo belonging to Andrew David Hall. FBI Special Agent Todd Prewitt was instrumental in the 2016 apprehension of fugitive child molester Charley Hollin, who had been on the run for nearly two decades. The 1999 crime occurred in Prewitt’s hometown of Seymour when he was an Indiana State Police trooper. After years of searching, the fugitive was located in Salem, Oregon, and taken into custody in 2016 at his place of employment. He was wearing a name tag that said Andrew, but soon admitted his true identity. Hollin was returned to Jackson County in 2017, and in March 2018, a state judge sentenced the 62-year-old to a 30-year prison term for his crimes and an additional 10 years of home supervision.